Last November I met Tod Harris at the AAR-SBL conference and immediately began pestering him with questions about his linguistics work in the Church’s Translation Department. He graciously agreed to be interviewed for the blog, and today I am very pleased to share the first part of his peek into the complexities of the Church’s extensive translation work. Second and third installments are available now. 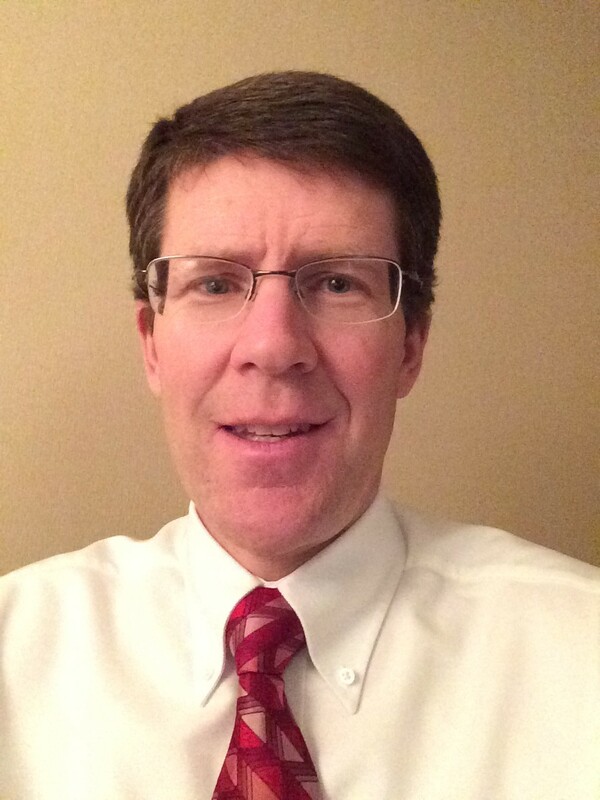 Tod Harris currently serves as manager of scripture translation support for the LDS Church. Tod has been working in Church translation since 1986. He has a degree from BYU in German Literature and a master’s from Cal State Dominguez Hills in Humanities. Tod and his wife Lisa have three children and live in Salt Lake City, Utah. 1. Describe your role and responsibilities as senior linguist in the Church’s Translation Department. What is your background in terms of education and work experience? How did you come to this leadership role? I began working as a volunteer in September 1986, assisting with a fledgling project to analyze the Bible translations the Church was using in different languages, before we had the standardized program for evaluating and selecting a “preferred” Bible that we use now (more on this later). The Church used to advertise for volunteer (and some paid) positions on a regular bulletin that was displayed on boards in foyers in Church buildings. I was standing out in the foyer of the building I was attending at the time, trying to quiet my fussy infant daughter, and saw one of these ads asking for someone with experience with translation, with computers, and with at least one ancient language. At the time I was working as a freelance technical writer and translator, about a year out from graduation from BYU with a degree in German Literature. As part of that degree I had taken a course in translation, as well as two semesters of Old Norse/Icelandic, and had put myself through the last year of school writing software user manuals, so felt like I had the qualifications to fill the volunteer position. I went down to the Church Office Building the next day, interviewed with three of the linguists working in the Translation Department at the time, and was asked to start helping that day. I worked on that original Bible evaluation project for about six months, and got to know some of the processes and people in Translation well enough that when a full-time job opened in March 1987, I was offered the position. I gladly accepted, and have been working in Translation ever since. I started very early working with the group that designed, produced, and maintained the support material we provide translators to help ensure they understand the English source texts, such as specialized lexicons, translation guides, and term management aids. I spent several years finding and training teams of translators who were tasked, at the time, with producing basic Church materials such as the “Testimony of the Prophet Joseph Smith” pamphlet and the Gospel Principles manual, and eventually became a supervisor for teams working on the Book of Mormon. I have also supervised teams interpreting for General Conference as well as assisting with interpretation myself. I served for a few years as the manager of the group that produces and maintains the support material used by all translators and reviewers, and eventually specialized in working just on the scriptures. During that time I also completed a master’s degree in Humanities with a philosophy emphasis at California State University, Dominguez Hills. Because of my experience both writing and editing the translation guides, as well as supervising translation teams, I was eventually assigned to oversee what we call “ecclesiastical reviews,” which are the final reviews of all translated scriptures to ensure that they are doctrinally accurate and are acceptable to native speakers, and still perform that function today. For about the last two years I have also overseen a team of five technical linguists who are working to standardize the format of all non-English scripture databases as well as upgrade them to match the new 2013 English scriptures (see the answer to question 2 for more explanation on this). I report directly to the manager of Scripture, Temple, and Music Translation, but also work on assignment for the Director of Scripture Coordination in the Priesthood and Family Department in conducting the final ecclesiastical reviews for completed scripture translations. 2. What are some of the most significant achievements of the department in the last five years? Who or what determines the priority of translation projects? There have been several notable successes in the last several years. First, as you may be aware, the Church issued new editions of the English scriptures in March 2013 (see the Church’s website, https://www.lds.org/scriptures/adjustments?lang=eng, for more information). Not long after this, the Scriptures Committee of the Church assigned Translation to update all non-English scripture databases to include all these same adjustments, as appropriate (some of the adjustments have no effect in non-English languages). I was assigned to put together a program to implement all of these changes, as well as to standardize all the databases of existing translations (because many of these have been produced over several decades, they were in several different formats from several different word processing platforms). With the help of some very talented people we got such a program up and running in late 2013, updated all the scripture translation support material to include all the 2013 adjustments, and are now working to apply these materials to all scripture databases. We’ve finished preliminary work on about 50 databases and are making good progress on the rest. Next, we recently completed work on a Portuguese quad. Your readers may be aware that the Church produced our own version of the LDS edition of the Bible in Spanish in 2009. We were assigned to begin working on a Portuguese version not long after that, and because of the 2013 updates, were able to coordinate those efforts relative to the existing Portuguese triple so that we completed the update of the triple about the same time we finished the work on the Bible. Because of this, presiding committees made the decision to produce the first non-English quadruple combination of the scriptures (Bible, Book of Mormon, Doctrine and Covenants, and Pearl of Great Price). The electronic version has been available on the Church’s website and in the Gospel Library mobile app for several months now, and should be on shelf as a printed version by the end of March. Work is also underway to produce a Spanish quad now, too. In addition to these significant projects, the regular work of scripture translation has been continuing, and we have produced translations of the Book of Mormon in Kosraean (a language of Micronesia), Chuukese (a language of Micronesia), and Persian, and triple combinations in Marshallese, Xhosa, and Zulu. 3. Take us through the stages of producing the new Portuguese edition of the LDS scriptures, focusing especially on the new translation of the Bible. Producing the new Portuguese scriptures followed our normal processes, for the most part, except we did not have to begin from scratch as we would have with a new project in a language that does not yet have scriptures. We first found a team of native-speaking translators and reviewers by working through the translation office in Brazil and by coordinating with Church leaders in both Brazil and Portugal for referrals to talented members. We also worked through these same channels to gather a committee of ecclesiastical reviewers (the translation team usually works as close to full time as possible and are most often paid for their work; the ecclesiastical review committee members are called and set apart and work on a volunteer basis). The translation team worked with the existing text of the Portuguese Book of Mormon, Doctrine and Covenants, and Pearl of Great Price first to incorporate all 2013 updates and then to review any suggestions for corrections that had been collected since the last publication of the scriptures. Any altered or corrected scripture text was then reviewed by the ecclesiastical review committee. For the Bible, we followed a process similar to the one used in producing the Spanish Bible. Rather than translating from original texts, we decided to work from an existing translation from the public domain, in this case the 1914 Almeida version. Because of the archaic nature of the language used in this version, the text underwent a very conservative revision, focusing on updating the orthography and modernizing some of the more outdated grammatical constructions and vocabulary that had shifted in meaning and acceptability. Chapter headings, cross-references, and explanatory footnotes similar to those in the Church’s English edition were added, as well as significant verses from the JST. All of this work also went through a committee of what we call “member readers” (with members from both Brazil and Portugal to assure acceptability) as well as ecclesiastical review. A final ecclesiastical review of the full text of the updated triple, as well as the new Bible, was conducted in São Paulo, Brazil, in January 2014. We then spent several months finalizing, typesetting, and conducting final proof readings. The electronic text was published late last year, and as mentioned above, the printed copies should be on shelf in March. 4. How do you manage differences of opinion in the process, between ecclesiastical leaders and professional linguists, or among linguists? How are proposed translations approved internally? We’ve had a lot of experience over the years learning both to collect feedback and suggestions from reviewers on the translation team and the ecclesiastical review committees and to respond to and reconcile it appropriately. First, we have the tools I mentioned, the lexicons and the translation guides, which provide standard definitions of key terms and explanations of critical textual features as well as instructions for handling such features. In many cases, being able to turn to these authoritative sources helps limit differences of opinion because meaning and interpretation has been carefully defined. We also work to train the project supervisors to recognize the difference between suggestions based on preference and true improvements and corrections to the text and to help teams and committees avoid purely preference-based comments. In addition, we stress the spiritual nature of scripture translation, harking back to Joseph Smith’s explanation that he performed his work through “the gift and power of God,” and actively strive to avoid any kind of contention between translators and reviewers. We have a process of translation, review, and reconciliation in place with allows all parties to have what we hope is a fair forum for input and feedback, and work to ensure that the final text has been accepted and agreed upon by all members of the translation team and ecclesiastical review committee. When translations are complete they all go through what we call a final ecclesiastical review to ensure doctrinal accuracy as well as acceptability to target language speakers. A report of the results of the final ecclesiastical review meetings is submitted to presiding councils for approval. Check back later this week for additional installments, including Brother Harris’s discussion of desirable ambiguity in scripture, the relative importance of comprehension in scripture reading, and the overriding mandate for literal translations of canon. ← LDS.org Has a Blog? This is wonderfully informative, Rosalynde! Thanks to both you and Tod for the interview. oh man, i wish this was a podcast. do you think in the future that interviews and posts could be made into podcasts? i know there is more work involved but it would be nice to listen to many of these posts while i do the house work or gardening. i don’t have a lot of time to sit down to read so many great posts. Why did the church not publish the Spanish quad right after the Spanish bible? What else needs to be done once they had a fully published bible and the triple in the same language style and translation revision? I have a bunch more questions, but it looks like some may be answered in future parts of the interview. One question is hinted at here: What is keeping the church from updating the English bible from the KJV to a superior, more modern translation? Clearly copyright issues are one facet of this answer. In the description of Brother Harris’s work history, there seemed to a be a careful distinguishing between translating and interpreting. It looks like all the interviewing with him has past, but I am curious if the church performs chain translations or interpretations, such as Portuguese to English to Finnish, or English to Spanish to Quiche. Why is there a translation department when there are 15 Prophets and Seers who can translate as well as Joseph Smith? Is there a shortage of hats or rocks? B) It’s not a mechanical shortcut for known languages like Google Translate, you troll. Athena, I will keep your request in mind. I’m your opposite: I much prefer the speed of reading a post over the (for me, painfully slow) pace of a podcast. But I know you are not alone in your love of the podcast format! We will keep the request in mind as we consider future directions for the blog. El Oso, I believe that Tod will be available this week to answer questions. I think the answer to yours, though, is that after the Spanish Bible was ready, new updates to the English scriptures were released, which then needed to be propagated through all the other language editions. It didn’t make sense to issue a Spanish quad when the triple was about to updated. But the Portuguese Bible was finished about the same time as the updates were made to the triple, thus it made sense to issue it as a quad. John, I hope Tod will be able to respond to your question this week — do check back! What struck me in this chunk of the interview is the “ecclesiastical review” process, presumably overseen by native-speaking church leaders or members in the target language. This is a pretty breathtaking delegation of ecclesiastical authority (over canon!!) from the presiding quorums to local membership, but of course it’s unavoidable because the presiding quorums do not have the linguistic expertise to conduct the review themselves. (Of course, arguably the greater delegation of authority is God’s allowing any human at all to produce/translate/formulate his word in the first place!) Anyway, an example of how an international church must unavoidably decentralize at least a little bit. I’m also struck by the “conservative revision” of the Portuguese Almeida Bible. It sounds as if the goal was to update only the bare minimum to make the text readable for modern audiences, leaving the archaic mood and cadence intact. Presumably this is done to replicate the English-speaking experience of reading the KJV, which is taken to be the normative scripture reading experience. Tod, would you say that’s a fair assessment? J, thanks for that great link. My eyes about popped out of my head when I read one of the changes made to the 1909 Reina-Valera bible: from “Febe … la cual es diaconista” (Rom. 16:1) [Phoebe, who is a (female) deacon]; to “Febe … quien está al servicio” [Phoebe, who gives service]. WOW! I guess literal translation went by the wayside there in favor of an interpretation that accords with present-day LDS practice. Anybody want to defend that particular change? Is there a more legitimate reason why that wording might have been changed? Well, the Greek word (diakonos) may or may not refer to a specific office and can legitimately be translated as “servant” (the NIV has “servant” while the NRSV has “deacon”). The same Greek word is in Mk 9:35 (“If any [person] desire to be first, the same shall be last of all, and servant of all.”) , where “deacon” clearly won’t work, especially for a modern LDS audience. Same with Romans 15:8 (“Now I say that Jesus Christ was a minister [=diakonos] of the circumcision for the truth of God,”) , which is particularly significant since it is in the same letter and in such close proximity to the Phoebe reference. I detest reading modern practices into ancient texts and I think there is a persuasive case to be made that NT documents reflect a far more expansive view of women’s authority than modern LDS practice/belief . . . but I don’t know that this translation is a problem. My instinct here would be to choose a word that I could use in both 15:8 and 16:1 to make the link between Jesus’ work and Phoebe’s work clear; “minister” is a good choice in English. Conveniently for modern LDS, “minister” suggests an office but doesn’t perfectly align with any LDS office and thus, I think, creates an ambiguity which appropriately reflects the situation. One concern that I do have with the Spanish Bible rendering is that the phrasing (“gives service”) completely eliminated the possibility that it is describing an office for Phoebe; ideally, that possibility would have been left in. However, I don’t know enough Spanish to know if there is a Spanish word that could represent that possibility, so they may have made the best choice possible. The full phrase in Spanish is “quien está al servicio de la iglesia”. “Está al servicio” which while literally translates to “gives service” in actual usage it’s more “is in the service of” or “at the service of”, which to me actually sounds like a formal (though unnamed) calling. You can find many examples of this usage in modern Spanish newspapers when describing how the police “está al servicio” the public, or a government minister “está al servicio” to the president. Hello, All, and thanks for first reading through my answers to the questions, and second for the thoughtful questions and responses. I’m sorry for the delay in responding–I just returned from a business trip and have been working frantically just to catch up in my office, and then I had to read through and think about all the responses and questions above. I will try to answer as many of questions in this first part and to buttress my responses with some additional information and clarification, as far as I can. As mentioned above, I spent a lot of time as a freelance translator before working for the Church–translating legal, medical, and educational material from German, Russian, and Icelandic into English–and have a fair amount of experience with literary translations–Old Norse into English–as welI as some limited “scripture” translation (apart from my work for the Church)–Middle High German Bible fragments into English. Because of this I have some very specific ideas about certain translation theories and philosophies and when to apply them–when I’m doing my own translations–but when I’m working in my capacity as senior linguist in scripture translation support for the Church, I am bound to follow “company policy” which I feel I explain pretty well in my answers in Parts 2 and 3 below. Having said that, I must also say that I am fully convinced of the efficacy of what the Church understands as literal translation (for scriptures), and will try to give some concrete examples below. Now to answer a few of the questions above. Regarding the timing of work on the Spanish Bible versus the triple–there was a plan proposed to work simultaneously on the Bible and the triple, but direction was given to concentrate on the Bible first and make sure we’d given full and complete attention to it (being the first LDS edition of the Bible in another language besides English). Also, there was a proposal in place to do an extensive revision of the triple and it was felt that there would not be time to finish that before the Bible was ready (which turned out to be the case). So we published the Spanish Bible when it was ready and then started in on the revision of the triple and had finished preliminary work when the 2013 updates were approved, so we went back and added those in, too, and now have both the updated triple and a slightly corrected Bible ready in Spanish. It’s already on the web, and a quad will be on shelf in the next several months. Regarding the difference between translation and interpretation–In my response I am talking about “interpretation” as exegesis–explaining what the source text means so that translators can (hopefully) reproduce the full and complete meaning of the original. And yes, we have done some limited work in “chain translation” where translators were not able to access either the source text or translation support material in English–so for example there has been some translation done from both Spanish and French into secondary target languages (like Kekchi in Guatemala and Tshiluba in DR Congo, respectively). But there is also a difference between “translation” as an effort to transmit meaning between languages using the written word and “interpretation” as an effort to transmit meaning between languages using the spoken word (like what happens at General Conference). There is an entire section in our division that works with interpreting events. And yes, Rosalynde, your assessment of why we did what we did to the Almeida is fair. I will say more in Parts 2 and 3 about both what we are trying to do by attempting to “replicate the experience of the English-speaking reader” and about the Church’s continued reliance on the KJV. One last comment for today–Rosalynde picked out a great example that shows the tension between trying to maintain a literal translation and making one that is acceptable to the target reader with her comment on the Phoebe/deacon issue. Over my years working with translators I have found that I can only push certain things so far, both with ecclesiastical reviewers and with the General Authorities approving certain things. In this case let’s just say we pushed as hard as we could for concordance with the source text, but were overruled by others’ desires for what was judged to be acceptable to the target language speakers. I will try to say more about this in later answers, too. Thanks again to all for your time and interest.